As heir to a kingdom of floating continents, Kali has spent her life bound by limits—by her duties as a member of the royal family, by a forced betrothal to the son of a nobleman, and by the edge of the only world she’s ever known—a small island hovering above a monster-ridden earth, long since uninhabited by humans. She is the Eternal Flame of Hope for what’s left of mankind, the wick and the wax burning in service for her people, and for their revered Phoenix, whose magic keeps them aloft. For a book set in the sky with a promise of adventure and self-discovery, this novel fell flat. (Yes, that pun is intended.) Instead of focusing on the lush and unique world that Sun had at her fingertips, she diverted the story to a shallow portrayal of teenage love. The worldbuilding was right there for the taking. In the beginning, Sun excelled with describing the world she built. Kali's island in the sky was described beautifully and completely. If that kind of focus was constant throughout the novel, my rating would have been drastically higher. Unfortunately, I was majorly confused about the origin story of her world (and I never fully ended up understanding its mixture of fantasy and science) and the details about life on the decimated Earth. I am also not quite sure how I feel about the mixture of dystopian and post-apocalyptic vibes with the fantasy components. A lot of the fantasy elements were absurd and just thrown in to create intrigue instead of developing the plot. While I expected a novel about a girl trying to survive on a dangerously exciting Earth, I got an heir to the sky who was more focused on making puppy eyes at one of the only guys left on earth. Griffin basically takes care of her the entire book, which rubbed me the wrong way since Kali was supposed to be this independent hero for her people. The puppy love was annoying, but the repetition almost killed me. The story became so cyclical that I could predict pretty much everything that happened. Kali and Griffin would have a moment, and a monster would attack. Kali and Griffin would "have a breakthrough" and then a monster would attack. It seems like the monsters knew exactly when they were conversing and always decided to interrupt. The first attack or so was interesting, but the rest were not at all engaging or surprising. 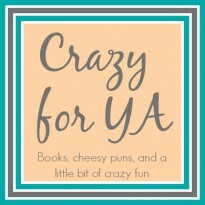 By the end of the book, I was also sick and tired of hearing the phrase "burn for yourself." Taking care of yourself and loving who you are is a great theme and I applaud Sun for tackling it, but I do not need the message shoved down my throat at the end of every chapter. The ending was unsatisfactory for me. I feel as if the novel was left very open without resolution. I am happy that Kali knows who she is now, but what about everyone else? The book had a very selfish ending, only focusing on Kali and Griffin while the fate of her people was mostly forgotten. 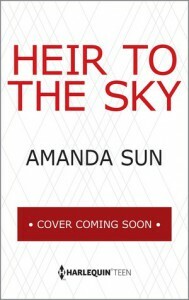 I would not recommend Heir to the Sky to readers who are looking for a fast-paced adventure mainly focused on survival. If too much romance and staring into each other's eyes in not your cup of tea, I would avoid this novel. But, if you like your fantasy books weird and stuffed with romance, you might want to give Kali's story a try. Have you read Heir to the Sky? Do you like romance with your adventure/survival stories? Have you ever read any books that "fell flat"? Do you appreciate my self-restraint of only using one pun?